Contact us through our online submission form. 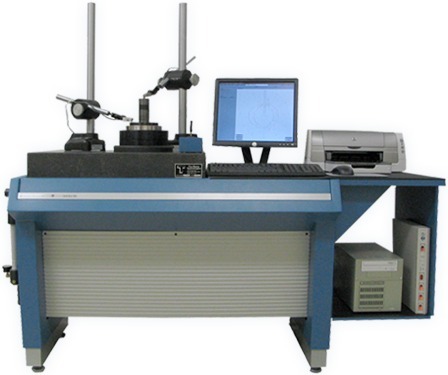 A very rigid console with a large surface plate and gage stand permits increased versatility, accuracy, and capacity over the portable bench type systems. This is the ideal system for fixed inspection, production, or metrology locations. Special models are available with weight capacities up to 1000 pounds; spindle accuracies to ±1 millionth of an inch, and full mini-computer measurement assist and data reduction capabilities. Surface Plate LWH 27" X 20" X 4"
The Roundness software is a 32-bit Windows XP/NT application that supports multiple documents. A single document can store up to 8 traces taken at different locations on the same part. A document window is broken into two views: a graph view and a text view. The graph view depicts either a polar or a strip chart; multiple traces can be overlaid on the same chart to allow inspection of their similarities and differences. The text view contains a text summary of the various settings and computed parameters for all traces within a document. Traces can be acquired, overwritten, renamed, and deleted at will. They can also be modified through various techniques. High-frequency surface roughness unrelated to a part's overall form can be filtered out. Faults due to part mis-centering can be masked. Gaps present in interrupted surfaces can be "patched". For the determination of out-of-roundness, circles can be fitted to traces by one of four methods (minimum zone, least squares, maximum inscribed, and minimum circumscribed). The choice of method depends upon the type of trace (e.g. inner diameter vs. outer diameter) and other factors. Frequency-domain analysis of trace data can be undertaken to determine lobing effects in parts. Various aids are present in the software to simplify the acquisition of traces. Step-by-step "wizards" can be used for tracer calibration and part centering and leveling. Both the polarity and the zero position of the tracer can be adjusted prior to a trace, while the detail level of tracer readings can be modified at any time through a zoom capability. 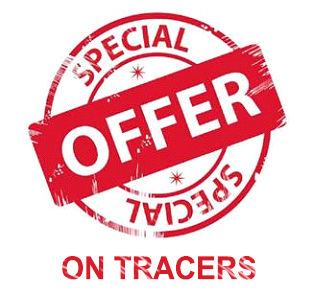 Dual tracers can be configured for use, although only one at a time can be used for collecting data. The spindle operates at two velocities and can be controlled by a joystick. The fast velocity is used when the spindle is under joystick control. The slow velocity is used during a trace and ranges from 1 to 4 RPM. Spindle rotation occurs in the clockwise direction during trace acquisition, meaning that traces are taken counterclockwise around a part. Zero degrees in a trace is defined as the position on the part that the tracer touches when the spindle is at home position. The colors of the background, chart grid lines, traces, circles, text, etc., can be modified independently according to taste for both screen display and hard copy. As an application that supports ActiveX Automation, the Roundness software can be "driven" by user-created scripts for the purpose of automating various repetitive tasks. Such tasks include the exporting of computed parameters to other Automation-aware applications such as Microsoft Excel after every trace for SPC and other purposes. ©1998-2013 Precision Devices, Inc. All rights reserved.